In this article, I will try to compare the differences between docPint and docPrint Pro. If you are hesitating to choose which one, the following article maybe can help you in some degree. And maybe its official website will be helpful for too. 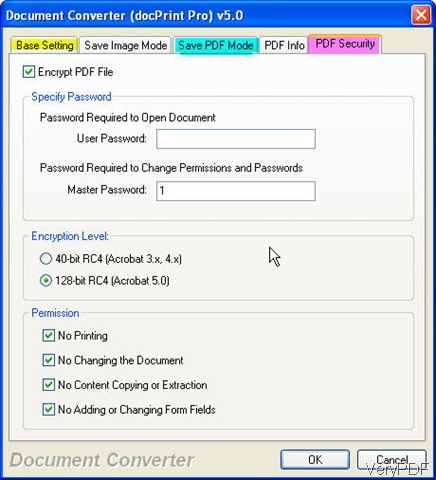 They both can convert all the printable file to image file or PDF file. They both can be used as a printer saving ink, paper and precious time for you. But in the fulfillment, they are different. 1.docPint allows you to add comment or annotation on the printing document but docPrint Pro can not fulfill those function for you . You can add stamp (a picture), note, draw (pencil line, beeline, rectangle and ellipse) and textbox to your printing document. You can set the stamp transparent degree; By it, you can also copy, delete and paste any comment made by others. You can also lock or unlock the comment. When you own it, it is a little like that you have owned a Adobe software. Let’s check those functions in the following snapshot. First, open the file needed converting and go to File then Print and choose docPint as default virtual printer. Then click OK, the conversion process will begin and later you will enter a menu option like the following snapshot. When you click the option Add comments on current page then you will enter the next menu option. 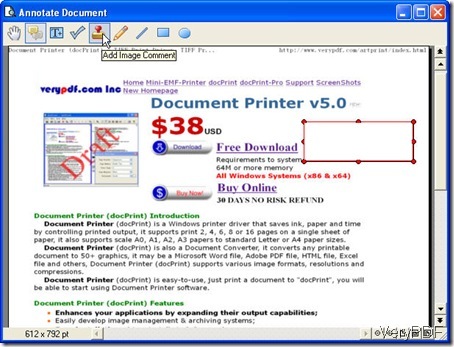 2. docPrint Pro is a combination of GUI version and command line version but docPrint does not have. No matter the command line version or the GUI version, all can help you convert printable file to PDF files and image file and allows you to set the converted file properties. docPint can not fulfill those function for you. Let’s take converting website to PDF file for example. When you can convert it to PDF, you can set passwords in two levels from two aspects. You can also add PDF information and choose how to save the converted PDF files. Let’s check this function in the following snap shots. 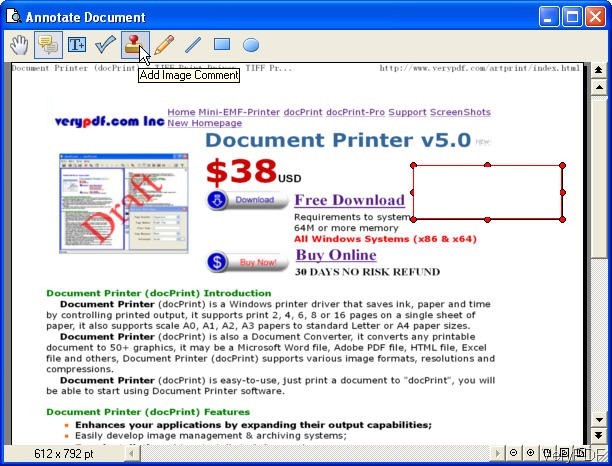 3.docPrint Pro also can not be called from MS Dos Windows but docPrint can not do that for you. The best way to experience those two software is that download those two software to your PC and have a free trial. If you have any further question about docPint and docPrint Pro, you are welcome to leave us a message or contact us by the ways supported on this website.They are developed by VeryPDF software company, if you need to know more software about file format conversion, you can visit its official homepage. This entry was posted in docPrint Pro and tagged docPint, docPrint Pro. Bookmark the permalink.